LEWISVILLE, Texas (February 16, 2016) – Poly Prep Country Day School in Brooklyn, N.Y., is a historic co-ed college preparatory school, educating students from Nursery through 12th grade. 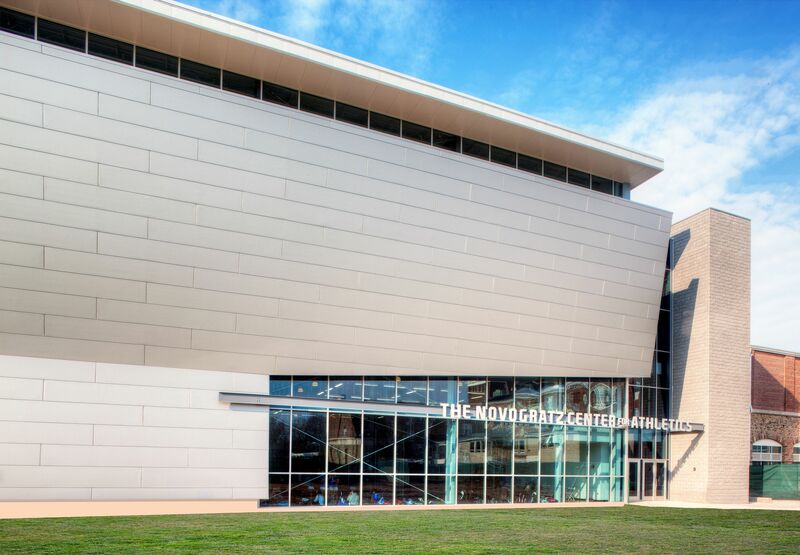 Products from Metl-Span were specified for the Novogratz Center for Athletics, the school’s fieldhouse/gymnasium. 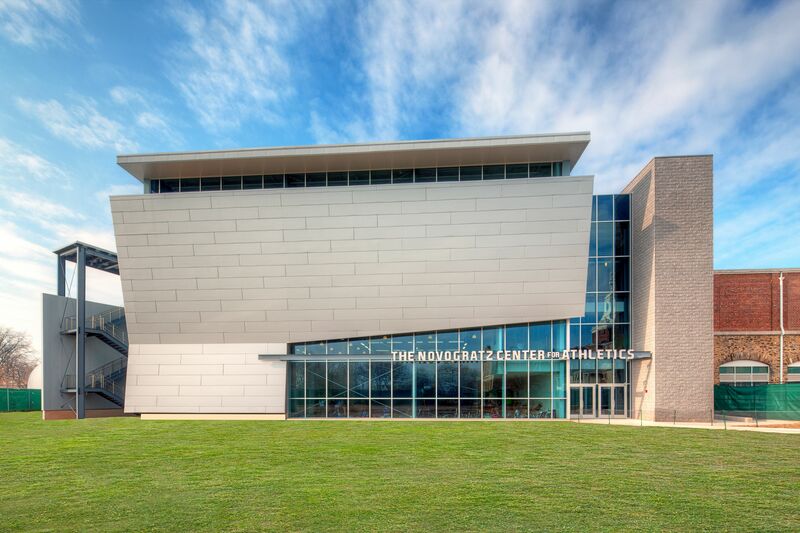 “We went with Metl-Span’s CF30 insulated metal panels for their aesthetics and cost effectiveness compared with another manufacturer’s product, initially chosen by the architect,” says Victor Weisberg, R.A., LEED AP, project executive for West Rac Contracting Corp. in Hauppauge, N.Y. 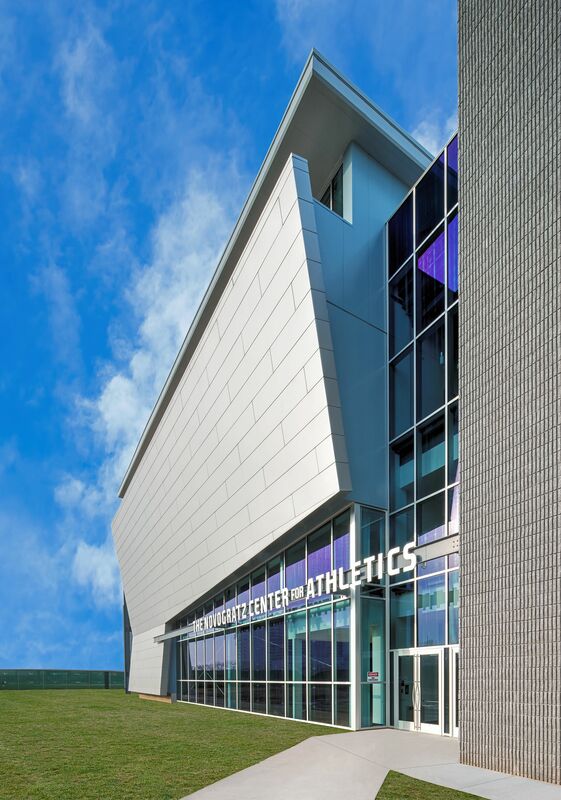 Approximately 4,785 square feet of Metl-Span CF30 Architectural Flat insulated metal panels were installed on the walls of the Poly Prep Field House, as specified by Jack Gordon Architects of New York. The 3-inch panels featured an exterior face of 22-gauge Galvalume/G90 in Silver Metallic SG, un-embossed, while the interior face was 26-gauge Galvalume/G90 in Igloo White SG, non-directional embossed. The Novogratz Center for Athletics hosted its first events in December, the inaugural Poly Prep Invitational Squash Tournament. More than 80 students from nine boys and girls varsity high schools from four states competed on the nine courts. On the same day in the facility’s wrestling center, the University of North Carolina edged U.S. Military Academy at West Point, 18-14. “The overall appearance is excellent,” Weisberg says.